One of the best things about The CW's Arrowverse shows are the crossovers and The Flash regular John Wesley Shipp has one particular crossover on his personal wish list. Shipp, who plays both Barry's dad Henry Allen and Earth-3's Flash Jay Garrick on the hit show, told fans at the Flash panel at Dragon Con in Atlanta yesterday that he would like to see Jay team up with the heroes on Legends of Tomorrow for a few episodes, specifically to work with Victor Garber. Last season on The Flash, Jay went into a Speed Force prison to save Wally from the same torturous fate but was rescued by Cisco in order to help Barry and Wally take down Savitar. Barry ended up surrendering himself to the same prison to save Central City. With Jay back in action, and the Legends dealing with their own broken timeline issue, there could be any number of possibilities for Jay to pay the Legends a visit and get some face time with Garber's Martin Stein. 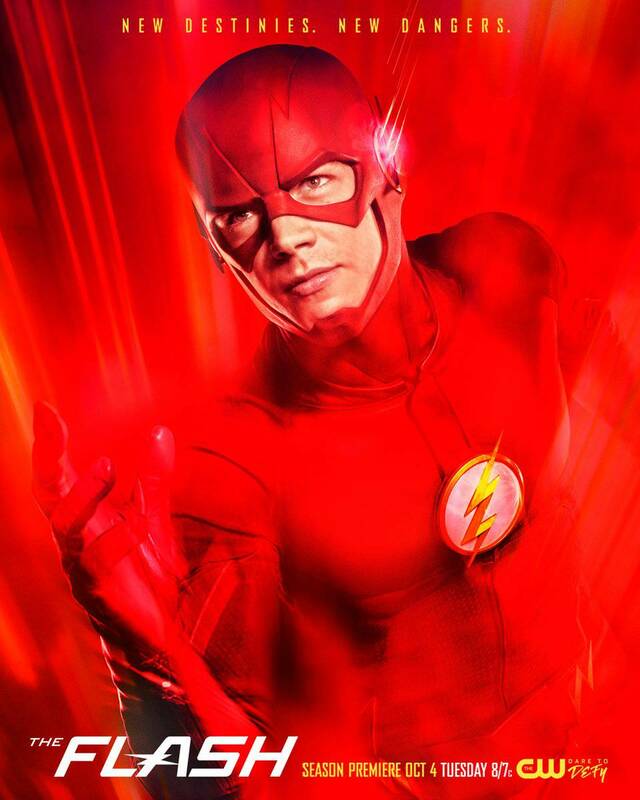 While no plans for such a crossover seem to be in the works what we do know for sure is that Shipp, who also shared his thoughts on the DCEU Flash, will be returning to The Flash this fall as Team Flash tries to protect Central City in Barry's absence while also trying to free the speedster from the Speed Force. The Flash season four will premiere on Tuesday, October 10th at 8 p/m. on The CW.